Recently, the equity markets have experienced some notable fluctuations – a sharp contrast from the steady upward climb we saw in 2017. Today, concerns about rising U.S. interest rates, trade disputes and the technology sector contributed to declines for all three major U.S. stock indices. The Dow Jones Industrial Average closed down 3.15% (-831.83 points), the S&P 500 down 3.29% (-94.66 points), and the Nasdaq down 4.08% (-315.97). However, U.S. Treasury bonds rallied at the end of the day. Concern over trade policy, especially the prospect of a prolonged fight between the United States and China, likely affected domestic stocks. “I think the concern that we are in for a bumpier and longer ride than expected is contributing to the uncertainty,” Washington, D.C., policy expert Ed Mills said. Analysts at Raymond James agree the outlook for the economy remains positive, though volatility is likely here to stay for a while. Raymond James Chief Investment Strategist Jeff Saut sees declines such as the ones occurring now as opportunities. “Unless this is a crash (we doubt it), you should get your buy lists ready,” Saut said. 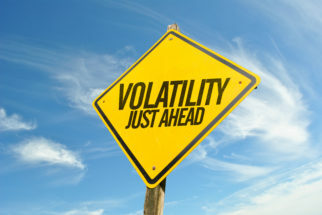 That said, when the markets experience volatility, it’s natural to feel some apprehension or uncertainty about your portfolio. This is why we spent time developing your tailored financial plan – to account for these fluctuations while remaining focused on your long-term financial goals. While no one can say exactly what will happen in the coming months, we are closely monitoring these market movements and the driving factors behind them. We will be in touch with any updates or appropriate recommendations should conditions change. Please let us know if you have any questions about the recent market activity or your long-term financial plan. As always, we remain committed to supporting your financial future and are grateful for your continued trust. Investing involves risk, and investors may incur a profit or a loss. All expressions of opinion reflect the judgment of the Research Department of Raymond James & Associates, Inc., and are subject to change. Past performance is not an indication of future results and there is no assurance that any of the forecasts mentioned will occur. The process of rebalancing may result in tax consequences. Economic and market conditions are subject to change. The Dow Jones Industrial Average is an unmanaged index of 30 widely held stocks. The NASDAQ Composite Index is an unmanaged index of all common stocks listed on the NASDAQ National Stock Market. The S&P 500 is an unmanaged index of 500 widely held stocks. An investment cannot be made in these indexes. International investing involves additional risks such as currency fluctuations, differing financial accounting standards, and possible political and economic instability. These risks are greater in emerging markets. Small and mid-cap securities generally involve greater risks. Companies engaged in business related to a specific sector are subject to fierce competition and their products and services may be subject to rapid obsolescence. There are additional risks associated with investing in an individual sector, including limited diversification. The performance noted does not include fees or charges, which would reduce an investor’s returns. Asset allocation and diversification do not guarantee a profit nor protect against a loss. Debt securities are subject to credit risk. A downgrade in an issuer’s credit rating or other adverse news about an issuer can reduce the market value of that issuer’s securities. When interest rates rise, the market value of these bonds will decline, and vice versa. U.S. Treasury securities are guaranteed by the U.S. government and, if held to maturity, offer a fixed rate of return and guaranteed principal value. Material prepared by Raymond James for use by its advisors.